Happy New Year! We Are Kicking Off 2019 With Kakizome! 2018 was a incredible year, with several updates to Cyant’s Lab™, new templates, new 3D printed creations and opening our Etsy store, an incredible #CyantistWeLove feature, inspirational art and “#CyantistsOfTheirTime”, and cyantists of all ages met along the way, including at the New York Maker Faire 2018! We ended 2018 with Hokusai’s inspirational art as our last Instagram post of the year, so we thought it would only be fitting to start the New Year with the equally inspiring Japanese tradition of kakizome to celebrate the start of 2019! While a special ink and calligraphy brush are traditionally used to write one’s resolution for the year, we opted for a cyantific approach and used Cyant’s Lab™ to 3D draw ours! ;) Our chosen characters? 創造力: Sozoryoku or creativity naturally! :) And following our mission, our resolution is to continue to connect art and technology to foster learning and creativity for as many cyantists as possible! 3D DRAW & PRINT YOUR WORD FOR 2019! Earlier this month we received some great news: Cyant received an Amber grant! We were thrilled to be the recipient of this Small Business Grant from WomensNet, an organization dedicated to help women achieve their dreams, and offering grants in the memory of Amber, who did not have a chance to pursue hers. And we were also honored to join a great list of other past award recipients and finalists. This news also means that we are eligible for an additional grant at the end of the year, and your votes can help us be considered for selection! Sebastiaan de Neubourg, a “circular economy” expert, has been using his knowledge to found w.r.yuma, a new type of company that uses 3D Printing to make sunglasses! Through this work, Sebastiaan is pioneering new ways to design and produce sunglasses from recycled materials with 3D Printing. Even cooler, the sunglasses can be recycled too! So he is also creating new business models, new ways to sell sunglasses and interact with the consumers. But that is not all! Sebastiaan is also a “biomimicry” expert and is using nature to get inspiration. We got lucky to be able to hear his insights on his work and passion, and we hope you will be inspired by them too! Cyant: Why sunglasses? How is 3D Printing enabling you to make sunglasses more sustainably? Do you think this process can be scaled to make the millions of glasses that are sold each year? Sebastiaan: I started with w.r.yuma after my job as a sustainability consultant where I was coaching companies, and specifically startups, on new “circular economy" concepts. I really wanted to integrate these concepts in my own projects and that is what I am trying to do with w.r.yuma. I chose sunglasses because they are an icon of cool really, and having something on your nose which literally and figuratively makes you see the world through a different set of lenses, can invite people to rethink how we use our resources and to rethink waste. As a conversation starter around recycling, sunglasses are really in your face. There are few ways in which 3D printing is enabling us to make sunglasses more sustainably. We can not only make sunglasses out of recycled material, but also sunglasses that never become waste again. We design our frames and print them in such a way that they can be easily disassembled with a little bit of force once the person is done wearing them. So we do not use any glue or toxic dies, and the frame kind of clicks together. Which makes it easier for us in the end since we will be doing the recycling ourselves. And that is one of the things that 3D Printing really enables us to do. Another way 3D Printing is helping us being sustainable is that we can print on demand. We print very little in advance. That way we are avoiding overproduction, as you usually have in the fashion industry. I think this model can be scaled to millions of glasses but I am personally not going to do that. I’d rather make other products than sunglasses that carry the same message. 3D printing is still a very young technology and it is a very slow technology. But I think there is a future for 3D printed sunglasses made from recyclable materials as 3D printing allows you to make very customized and personalized glasses. Cyant: What does it take to design glasses that can be 3D printed, using recycled plastic, and that are recyclable themselves? Which technologies, design, and material advances were you able to take advantage of? What was the most surprising thing you learned/found out as you worked with 3D printing? Sebastiaan: The first thing that I found out, before we even got to print the glasses is that you really need a whole lot of software. You need to create a very precise drawing, because when you put together the frames, they are first polished, and then assembled with the hinges and the lenses that fit into them. So your design errors must be very small otherwise the assembly process becomes a nightmare. And you need to start in 2D with a software such as Illustrator to make a very precise design of the sunglasses, then bring this into a 3D modeling software to create a 3D shape, and then convert this shape into a file for 3D printing. And there are a number of things to tune in the 3D printer's software to obtain a good 3D print. Another thing that I found out myself is that it’s very important to use the same kinds of plastics throughout the designs. One of the things I really wanted to do is to write some text inside the temples with recycled fridge parts, something that is very beautiful from a story perspective. But in the end it was harder to do because you then have to use two different kinds of plastics, and this makes the process more complex. So, for us, it is better to stick with a single material type for the entire frames. And the ABS plastic from recycled car dashboards is quite difficult to print with but gives a very nice finish once polished by hand. Whereas the PET plastic from recycled soda bottles prints out nicely, but it is very difficult to get a smooth result after the polish. So we had to go though a lot of trial and error to find the right material characteristics and find the right methods for processing these. Finally, I found that there is a real trade-off between 3D printing speed and the quality of the sunglasses we produce. Speed is important for us to make many sunglasses but when things are sped up too much, there is more polishing and post processing work. So it took us quite a while to figure out the right balance for us. One challenge that needs to be solved, and not just for us but for other companies and projects involved with 3D printing, is how to create a production approach that is “scalable”, that is, can work for producing large quantities of products. Cyant: You have an Engineering degree. What aspects of that education/training were helpful in making an item where design plays an important role? Sebastiaan: Indeed I have a mechanical engineering degree, which did not quite prepare me for the job I am doing now. Of course I had done some 3D modeling but I don’t think there were 3D printers at the University of Delft at the time where I did my studies. So I had never used 3D printing in my curriculum. But one thing I got out of my engineering degree is to understand how plastic behaves under certain conditions. For example, when you heat it, it could go to different states, known as “crystalline” or “amorphous”, and that influences how the plastic cools once it’s printed, and how it behaves afterwards. Having that knowledge from my studies did help me in some aspects. But I still had to teach myself 3D modeling and 3D printing software. This being said, in the Maker & DIY movement, people are very happy to share their knowledge. I got a lot of support from Fablabs and other 3D Printing enthusiasts that were happy to help out with the project. Cyant: So how did you collaborate with designers, and other experts to make your idea happen? What was something valuable you learned in the process? Sebastiaan: I have not worked with too many designers yet, so all the models we print are my own designs. But that is certainly something we’d like to look into in the future: work together with very well known, or up and coming designers, who will then work with us to co-design limited edition sunglasses. And that is something that I think has a place in the new economy where you crowdsource the design/ideas rather than them being produced in micro factories. This being said, other experts have helped me: experts on recycling and on the behavior of plastics after heating. As I mentioned before, with sunglasses, design errors after printing must be very small and that was quite a challenge for us to get that under control. But having the right experts who could help us with their insights on plastic was very valuable for us. What we learned in the process of working with these experts and making our sunglasses is that everything takes a whole longer than you initially thinks. 3D Printing is relatively slow: it takes a little more than 2 hours to 3D print a pair of sunglasses using the FDM technology. And there are so many different things that you can play with that it takes a lot of time before you get it exactly right and before you can scale the process. Cyant: Can you describe what “circular economy” means, in your mind? How is 3D printing at large part of that new economy (not just for glasses)? What do you think are the education/skills needed to be part of the circular economy now and in the future? First of all, I think the circular economy is the absolute future. What we are doing now with our sunglasses is that we are enabling the use of recycled plastics to make sunglasses that are fully recyclable after use. And we give the opportunity to our customers to bring back or send back their old sunglasses and get a discount for their new, next pair of glasses once we recycle the old ones. This is the a new model now, but I really do think that it will be used widely, and that more and more companies will really take on the circular economy principles quite seriously. For me the circular economy also means a local economy. So we try to source all our materials as locally as possible. For example the colored lenses that we use come from Italy, which is the closest place that we could obtain them from, besides Asia. The recycled plastics from car dashboards and the plastic bottles we use come from Rotterdam and Brussels, and Antwerp, where we are based, is right in between and close to both of those two cities. I think the skills needed to make products for the circular economy start very much at the design phase. You need to be able to think about how people use the products, where materials can come from, and how recycling can fit into the design from the beginning. And if you make the recycling bit the responsibility of the producer/designer, then it will become very natural to think how you will recycle wherever you are building. In the end, I think 3D Printing will be part of this circular economy. Not every product will be made with 3D printing but it really does allow us to rethink products, the way they are made and designed. 3D printing really offers new insights on how to do things right this time. 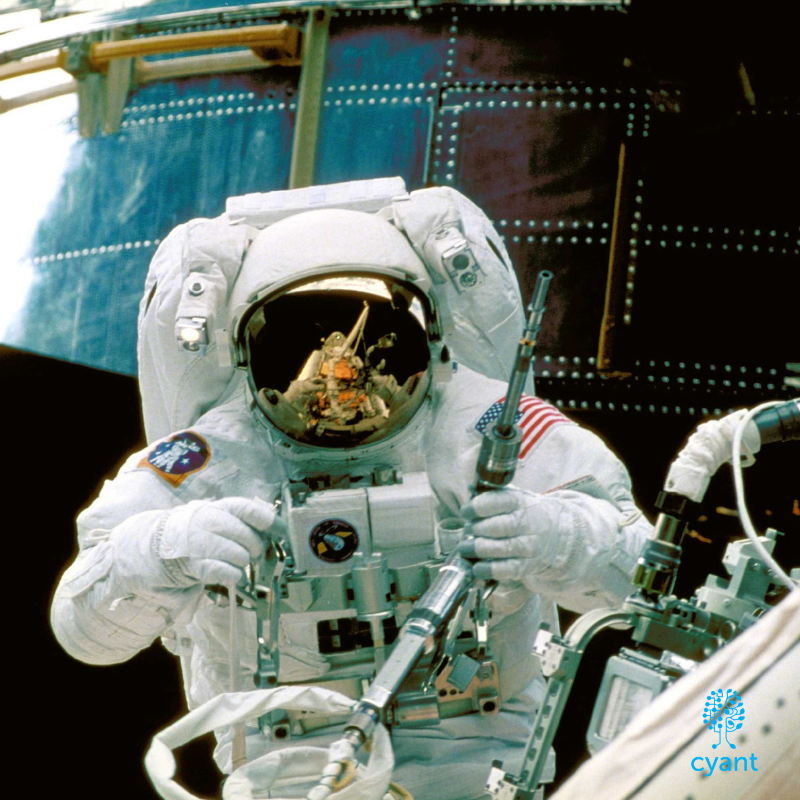 Cyant: You are also part of a group of scientists, researchers and entrepreneurs involved with biomimicry. Can you describe what biomimicry is, what motivates you to be involved in that activity, and how you are using it in your work? Are there new designs and design approaches you have been able to bring to w.r.yuma as a result? How would 3D printing and biomimicry intersect? Sebastiaan: That is actually my favorite question, as biomimicry is something that really excites me! Biomimicry is basically sustainable innovation that is inspired by nature, whereby you look at designs, materials and systems in nature to build products, services, companies even countries! Many of the problems we face as humans have long ago been solved by all the species alive on earth before us. Life on earth has existed for 3.8 bn years, and human history, since the homo sapiens, has only been a very small part of that history. So a lot of the solutions that we need are actually already found in nature. And one of the things we are looking to use at w.r.yuma is the circular economy concepts. The concept of waste is a human concept. In nature, waste is food, or a resource for another species. So whole ecosystems can thrive and there is no material that gets lost. Earth is a very closed system. Except for the occasional meteorite or satellite, there is nothing that comes in or goes out of that system. Another way that biomimicry can really bring something very valuable to the table is the optimization of the design. A lot of structures in nature are designed and used in such a way as to use a minimum amount of energy and material but to perform as optimally as possible. For example the skull of a bird needs to be very strong, but also very light, so nature has found a way to make a bone that is both. And with 3D printing we can mimic and produce this kind of structures. This is something we are looking to experiment with at w.r.yuma: it would be amazing to show how we apply biomimicry in our circular business model, but also in our design. But there is one more method in which biomimicry can be applied: open source. All things in nature use the same language DNA which is open source by nature. That is why you have such diversity in nature, and how ideas can spread throughout and across species with so much success. And that is something we are thinking about: how can we make open source sunglasses that allow people to improve on the design and to make them themselves. There are other concepts where biomimicry & 3D Printing intersect and we’ll be surely working with them because that is my absolute passion. Sebastiaan: I only draw digitally, so I do not use pen and paper, but I actually like to draw sunglasses! It’s true, I really like to draw sunglasses that are quite different. If you look for example at the first sunglasses in the world, which were made from walrus ivory by the inuit people, they did not have any glass or UV protective coating of any sort, so they found some ingenious ways to make very simple glasses. So it is a wonderful thing to draw glasses, and to use new technologies to make something which has not been made or was not possible to make, like the first pair of sunglasses. And it is also wonderful to rethink, and bring to life or back to life, old ideas of how sunglasses are made. Cyant: What would be your advice for young cyantists? And their parents? Sebastiaan: I think one of the best advice I can think of is to pay attention, I’d say, to allow yourself to observe and to see and to grasp how things are made around you. And again how nature does it, as I think it is one repository of good ideas. And just being curious. If there is anything I’d like to teach my children, it is exactly that: be curious, curious of how things work. I think great things come out of that! Thanks Sebastiaan for sharing such thoughtful insights with us! If you want to find out more about w.r.yuma and Sebastiaan’s biomimicry work, make sure to visit HERE and HERE! 3D Printed Bridges And Great #3DPrinting Architecture Projects: these are the news that caught our attention this week! 3D Printing has been making such a mark and strides in architecture , a field that naturally intersects art, design, engineering, maths and tech! And we are seeing a range of materials being used, from bioplastic to mud and concrete! So on this Tech Tuesday we are loving this post by 3Ders.org 3D Printing News which rounds up some great and inspiring 3Dprinted housing and construction projects. Not only are these projects beautiful and cool, some of them integrate recycled waste, continuing the increased move towards sustainability. Will young cyantists be designing and 3D Printing their sustainable homes in the future, here on Earth, or even Mars? And another cool architecture/building 3D Printing project for this TechTuesday : 3D printed bridges! Bridges have been a classic structure dating back millennia, and this advance represents another significant evolution in their construction. And with this, we are all the more excited to be crossing over (pun intended :)) to Blink-LAB architecture geometric dome structure project during the WorldWideWomen Girl's Festival on October 15th! If you have not gotten your tickets yet, make sure to get some quickly, this will be a great collaborative building project! We're looking forward to meeting young Cyantists at the World Wide Women Girl's Festival! Join us on Oct 15th in Fort Mason! Engaging girls from a young age can help them build the confidence to pursue their interests and careers in a wide range of fields. This event from Wide World Women will be packed with activities, workshops and exhibitors to showcase entrepreneurship , science, design, fashion , dance, engineering, 3dprinting, career choices and more! And there will be a Maker Space area of which we'll be part, showcasing our platform and crossing over to Blink-Lab's cool collaborative geometric dome project. If you are in the Bay Area spread the word and register! 3D Printing for Surgery Planning and Metamaterials: these are the news that caught our attention this week! On this #TechTuesday, we're sharing two news from the 3D Printing world that have been particularly striking in past few days. First this one via Vocativ. Not Art, but we fundamentally believe in creating more bridges between the digital and physical realms. So this news is particularly significant as it is a great example of the value of such bridges: having a tangible experience with #3DPrinted models is enabling people to better "sense" their way through challenging thinking, and can then help them be successful during complex tasks such as surgery planning. We'd already shown other examples of this for better understanding the Universe, as well as maths concepts, so we're excited to see more people using this approach to learn and think in new ways in coming years! And we're glad these two babies have now healthy happy hearts. And ICMYI, check out this cool new design and 3Dprinting project from the Hasso Plattner Institute: metamaterial mechanisms! Structure meets function in one fully 3D printed mechanism, illustrating the opportunity for new materials, designs and potentially more efficient ways of making! Today The White House made a major announcement on the paramount and vital importance to preserve our oceans for this generation and the generations to come. Our oceans harbor vibrant ecosystems and are our planet's life source. They have been suffering much damage from plastic pollution, increased water temperatures and other factors. So we are excited to see many "cyantists" working at the intersection of art, design, engineering, science and biology to revert this harm and create a future where sustainability and ocean protection are brought back to the forefront. Through waste reduction via improved production, reuse and upcycling, recycling, the creation of objects that can directly protect ecosystems and marine animals, and art installations to raise awareness, we are already witnessing much creativity employed to use 3dprinting and other technologies to address these challenges. We look forward to seeing more cyantists at work towards a #sustainable future in coming years!